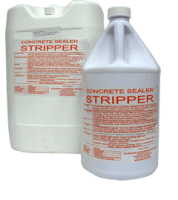 The only stripper on the market that was designed to remove failed Acrylic Concrete and Paver Sealers! SuperStripper will remove failed "wet look" concrete and brick paver sealers. 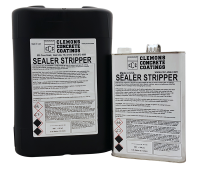 This product will remove sealers that have yellowed or turned white due to over application, cheap inferior acrylics, or moisture. Square footage is dependent on previous coatings. Typically covers 75-150 feet per gallon. 75-125 Feet. Additional applications may be needed for difficult strips.